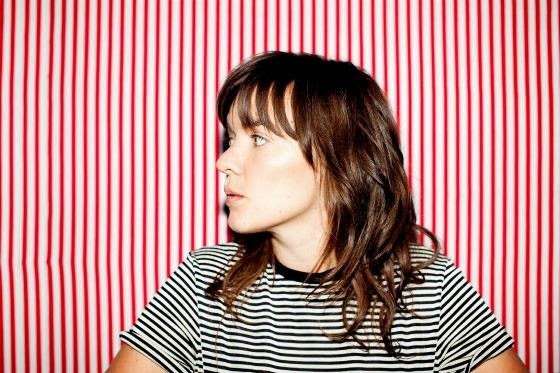 Quietly, well - perhaps not so quietly, Australia's Courtney Barnett is winning over hearts and minds and it's happening right in front of our eyes. Having just spent 4 weeks (an entire month is something these days) at the #1 spot on the College Music Journal (CMJ) List, Barnett has a ramblin', jamblin' masterpiece in her album, "Sometimes I Sit And Think, And Sometimes I Just Sit"
Barnett's shows are selling out like gangbusters and her band has been added to the country's most prestigious music festivals (she closes out this summer at Newport Folk - nothing more timeless than that!) You probably know some measure of all this, or perhaps not, but what you should do it get to know her quirky, self-effacing lyrics and fiery yet demure spirit. The new video is called "Dead Fox."